It looks like direct communication and collaboration between humans and heavy-duty robots is now possible for the first time, thanks to gesture control technology developed by the Fraunhofer Institute for Machine Tools and Forming Technology IWU. Just a few years ago, humans and robots in factories were kept well apart. Robust safety barriers ensured they did not get too close to each another and minimized the risk of injury or damage. Although such strict segregation may still exist, humans and machines are getting progressively closer. The next phase in this transformation lies in communication. Even heavy-duty robots are now working next to their human co-workers without protective barriers. Yet direct interaction remains almost impossible, and robots still stop dead the moment someone enters the large safety zone around them. 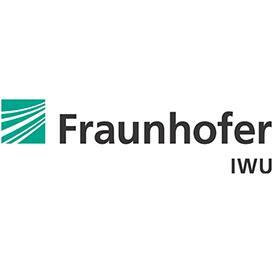 As a driving force for innovation in production-related research and development, the Fraunhofer Institute for Machine Tools and Forming Technology IWU, located in Chemnitz, Dresden and Zittau, has been focusing on this issue. It has now unveiled a new technology that for the first time supports direct communication and collaboration between humans and heavy-duty robots. As soon as someone enters the work area around the robot, the robot identifies the person’s face, posture and, most importantly, gestures. It harnesses the data gathered from the encounter to make collaboration safe but also, for the first time, uses this data as control signals in a process designed to come very close to the desired interaction between humans and machines.